Kids are heading back to school which means that Summer is coming to an end but that Autumn is just around the corner. Colourful walks through the leaf-strewn woods, fresh seasonal berries and fruits to bake with, wrapping up because its getting that little bit nippy - what's not to love? There are so many baking possibilties with what Autumn has to offer. 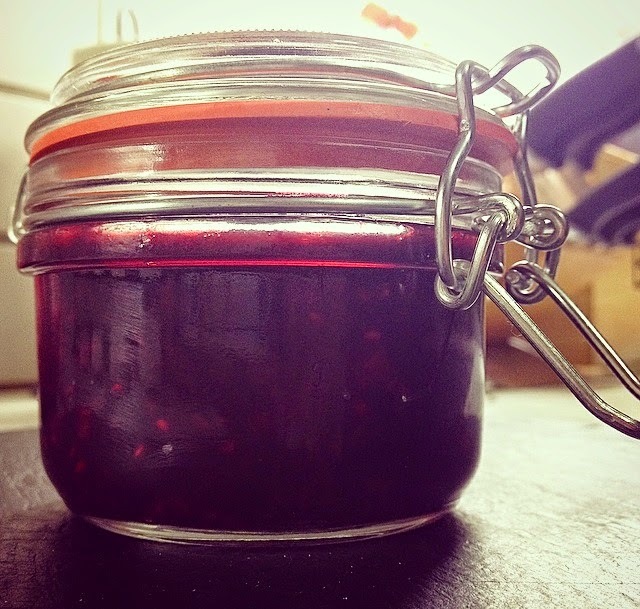 One of my favourites, although its not really baking, has to be fresh Autumn berry compote. I for one never thought that making berry compote could be so easy. Who knew it could be ready to eat in a matter of minutes! 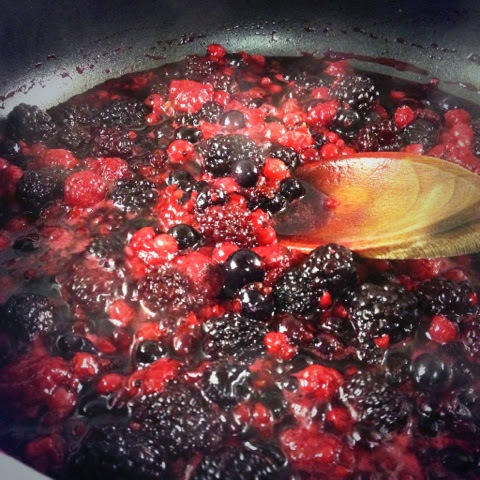 1) Add the berries, lemon juice and sugar to a large pan and stir. 2) Allow the mixture to come to the boil and then to simmer for 4-5 minutes. 3) You can serve the compote warm or hot but, before storing allow it to cool. Store the compote in the fridge once cool. It keeps for up to a week days although it never lasts quite that long in my house! I used my gorgeous preserve jars from Viking Direct to store the compote. They're perfect for keeping the compote fresh and they look that bit nicer than a regular jam jar!Viking Direct have a great range of bakeware and kitchenware - you'll be sure to find something you'd love on their site. 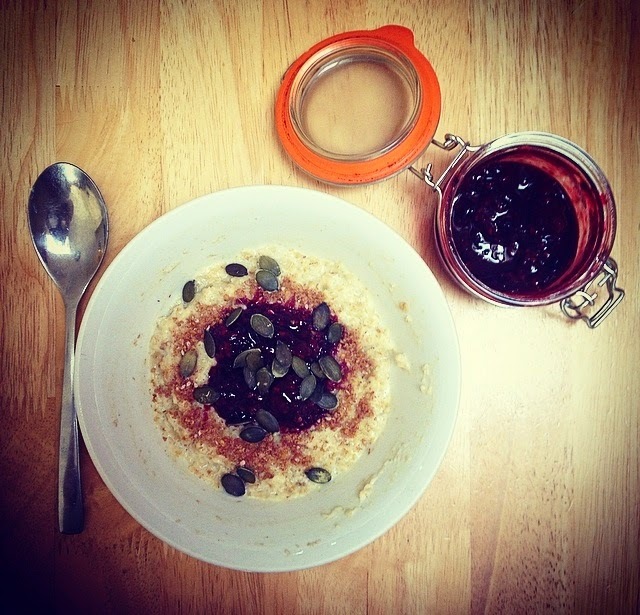 My favourite way to enjoy berry compote is to stir it into my bowl of porridge along with Linwoods Milled Organic Flaxseed. 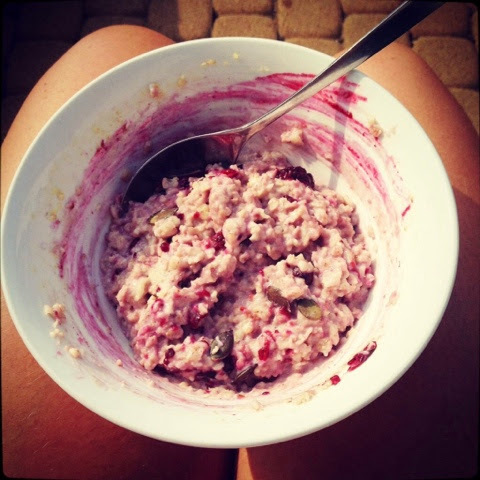 I mean who wouldn't love healthy pink porridge?